You probably know that you’re a mammal, right? How about your dog or your cat? Yup, both mammals. What about seals or whales? Yes, even these creatures are mammals. What is a Mammal? Most mammals give birth to live babies. The babies look a lot like their parents. So what makes a mammal a mammal? All animals are characterized by how their body works, what they eat and how they have babies. Mammals have some special ways of doing things that no other animals have. Most mammals give birth to live babies. The babies look a lot like their parents – only cuter! Mammal babies stay with their mothers, at least for a while. They drink mama’s milk. This is called suckling. Duck-billed platypus is one of the few mammals that doesn’t have live babies. Platypus mamas lay soft eggs that are the size of marbles! All mammals have warm blood. That means they can warm up and cool down their bodies. Mammals control their body temperature by sweating, shivering and panting. 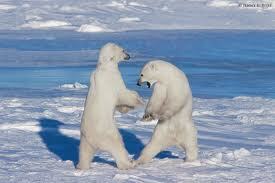 A polar bear living in the snow has the same body temperature as a monkey in the jungle. Mammals move in different ways. Some mammals move on four legs. Some, such as horses or big cats, can run very quickly. Bats are the only mammal that can fly. Moles have feet like a shovel for burrowing. Dolphins and whales have flippers and tails to swim with. How do you move? Mammals have backbones. Mammals might look different, but they all have bony skeletons. These skeletons hold us up and keep us going. Animals with backbones are called vertebrates. Mammals have hair or fur. Some fur or hair is short, some is long. Some comes in cool patterns. But, we all have it. Mammal extinction is happening quickly. In the last 500 years, at least 75 species have become extinct. More than 25 percent are in danger of extinction. Humans are the only animals that walk on two legs instead of four. Well, kangaroos, too, but they mostly hop. A video documentary about the different kinds of mammals in the world. Question: Which mammal lives the longest? Question: What is the smallest mammal on earth? Answer: The bumblebee bat. This bat is the size of a bee. It lives in Thailand. Enjoyed the Easy Science for Kids Website about Mammal info? Take the FREE & fun Mammal quiz and download FREE Mammal worksheet for kids. For lengthy info on What is a Mammal, click here. Declan, Tobin. " What is a Mammal? - ." Easy Science for Kids, Apr 2019. Web. 21 Apr 2019. < https://easyscienceforkids.com/what-is-a-mammal/ >.